Today is just one of those days where I can not believe how blessed I am. I keep thanking God over and over in my mind and heart. Seriously, what makes me so special to deserve this life? I am so THANKFUL for my wonderful husband and amazing kids, I don't think words can even express it. I feel that my life would be so pointless with out my family and without my amazing God who always gives us so much! I never thought that I would be happy as a stay at home mom. You see I worked full time until I had my son (almost 3 years ago). In order to pay our bills, I had to work full time. My heart broke to leave my daughter avery morning, but I got used to it. When I thought about being a stay at home mom, I got scared. I was afraid we wouldn't be able to pay our bills and I would be bored. But after I had my son, I could not find anyone I could trust and rely on to watch my kidos. So we took a big leap of faith and I quit my job. We gave our life into the hands of our Lord, and he has provided! He helped my husband start his own business in order to support us and I discovered that I love being home with my kids. I also get to teach my kids. I love homeschooling. This is my first "official" year, but I can not imagine not doing it. Sometime when we are cuddling in bed, we hear the school bus come at 8:45am and then see it drop the kids off at 4pm. I can not imagine being apart from my kids for that long. There is only one thing I would change, I wish I got to spend more time with my hubby, he has a lot on his hands with his business, But I know he is working so hard so I can stay at home mom and raise our kids. My Handsome Hubby took this photo before church, "edited it" sent it to my phone and set it as my wall paper on my phone, thanks babe! Nico came up to Little Em and started hugging her, so cute! Nico's favorite "subject" in school? Painting off course! Little Em sure loves her pancakes and eggs, She is my sunshine! The BEFORE picture of my horrible, ugly, nasty laundry room, yes it really looked this bad! But not anymore, I have a few things left to do, but pretty soon I can share the update with you! Look at these two! Cute little smiles, and a bag full of cloth diapers for our new baby boy to come! Doing lessons. I love how she concentrates, Her horse is amazing. Love the Draw.Write.Now books, she is learning to draw so many things and then write about it! Thats just a peek into my life. You have a beautiful family and a very blessed life. I absolutley love to read posts like this...makes me take a moment to think of how blessed I am as well. 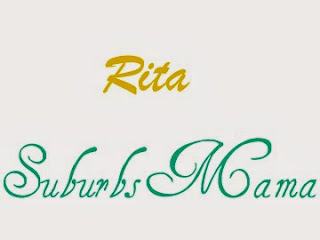 Rita, I love everything about this post! You are truly blessed. I love the part about cuddling with the kids in the morning and hearing the bus pick up school children; knowing you can hold your kids all day is such a joy, for they grow up fast and this time is too short. Treasure those moments as gifts from God!